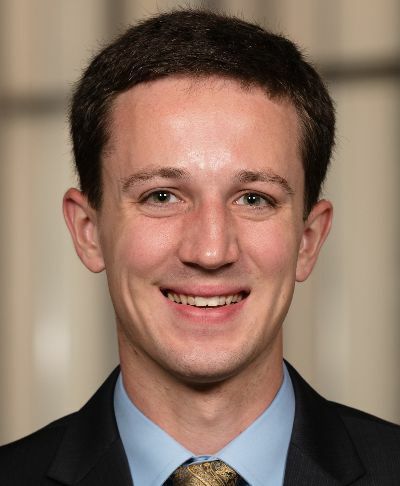 Patrick Brems is a second-year MBA student at the University of Notre Dame’s Mendoza College of Business, with a concentration in finance. A native of Cincinnati, he earned an BA in economics and Spanish from DePauw University in 2015. Prior to business school, Patrick worked for several years[ as an area manager with Group Services France (GSF) in Indianapolis and Cincinnati. Currently, he is participating in Mendoza's highly selective Business on the Frontlines (BOTFL) course, for which he will be traveling to Guatemala in March to partner with LDS Charities and serve the indigenous Q'eqchi' people by helping to build and organize a sustainable supply chain for the commercialization of cacao. Patrick is honored to have had the opportunity to establish a new chapter of the Adam Smith Society at Notre Dame over the past year. After graduation, he will be joining McKesson Corporation in Irving, Texas, in its Finance Rotational Development Program. Since the Adam Smith Society is new to Notre Dame/Mendoza, tell us one interesting fact about the school’s history or culture. Most people are surprised to learn that Notre Dame has only about 12,000 students: roughly 8,000 undergrads and 4,000 grad students. My MBA class, with about 130 students, is considerably smaller than other major programs. The school takes pride in building a culture of a “Notre Dame Family,” where everyone on campus feels like part of a tight-knit community. I've seen firsthand the generosity of ND alumni who are almost always willing to help you out in any way they can, if you just ask. What initially attracted you to the Adam Smith Society, and how do you view its role on the Mendoza campus? I jumped at the opportunity to attend the 2018 National Meeting because I saw the mission of the Society as critical in today’s world. Since we, as MBA students in leading programs around the country, are going to be working to solve the big problems that face businesses (and politicians), it’s essential to have a constructive dialogue and hear thoughts from all perspectives and to debate how we navigate those challenges. I view the Society as expanding our current network to other MBA students and successful business leaders and further fostering that important dialogue. Will this be your first time working in Latin America? If so, what have you most appreciated about working/living in the region? If not, what are you most looking forward to? This will be my first trip to Latin America for work purposes but not my first time in the region. I went to Guatemala on a foreign exchange in 2011, and I studied in Santiago, Chile, for seven weeks last fall. I am grateful to have another opportunity to catch up with my Guatemalan host family and friends with whom I still keep in contact. I’ve always had a desire to move into the international business realm with respect to my career. Additionally, I've studied several foreign languages over the years, so I’m always excited when I get to travel and use my language skills abroad.